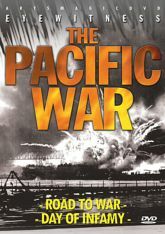 The complete story of the Pacific War includes the testimonies of international eyewitnesses to the stunning events as they happened. Road To War: Even though Japan was on the Allied side in the first World War, its economic troubles during the 1920s allowed its military to gain control over the government, leading to its eventual alignment with the Axis powers in 1940. Day Of Infamy: On December 7, 1941, the Japanese bombed the U.S. naval base of Pearl Harbor, situated on the Hawaiian Island of Oahu. Experts and eyewitnesses provide accounts of the bombing and the events following on from this devastating attack.